Using technology in a practical way to enhance your everyday workflow. I have worked with a wide range of clients to build websites that exceed expectations of my customers and their clients. Whether you are an author trying to promote your works and speaking engagements, or an international corporation wanting to break into a new market, I can create excellent results for you. 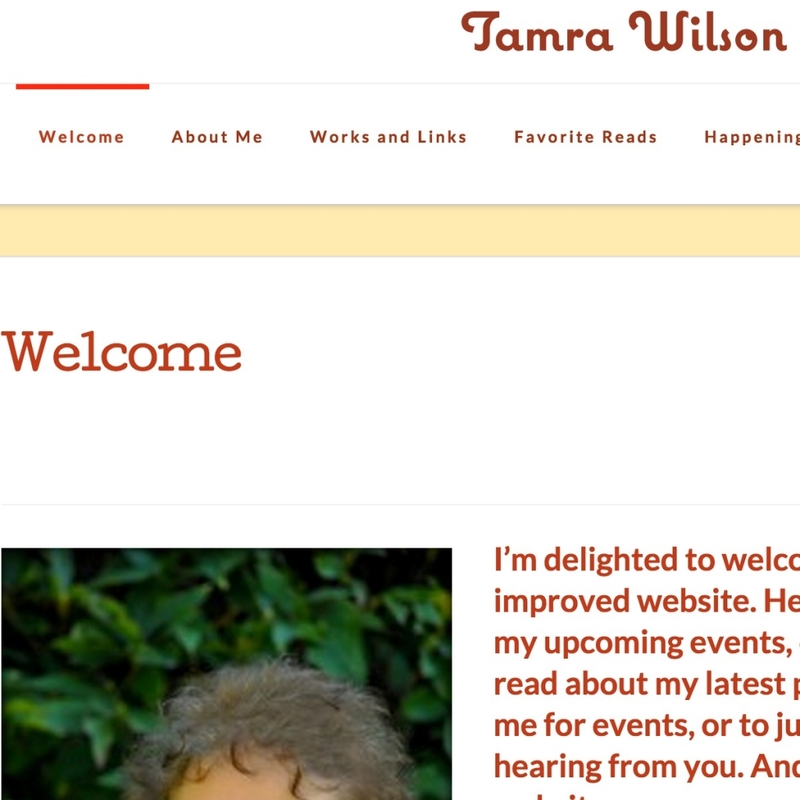 Tamra Wilson is an author in North Carolina that wants to connect with people and to share her works with others. Her website is easily viewable on any device and has a number of different sections including an about section, works and links, favorite reads, happenings, links to presentations, a blog, and a place for people to contact her. 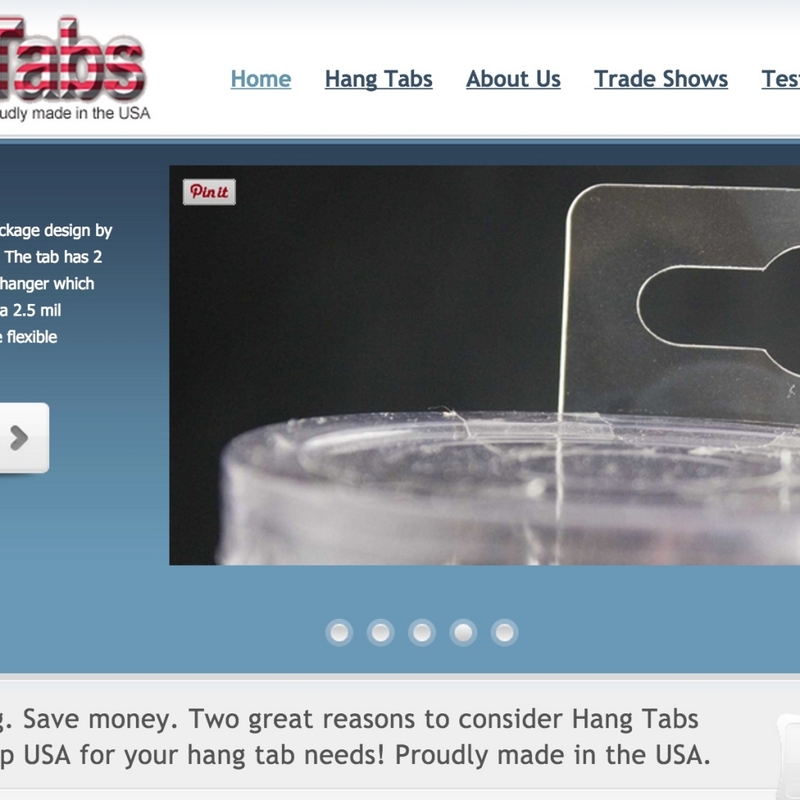 The Victrix Group is a company that originated in Spain where they make plastic hang tabs, and other one-off products. Victrix Group decided to help their US clients save money and reduce packaging by expanding their operation to the US. Their website is full of information about their different products, trade shows, and customer testimonials. 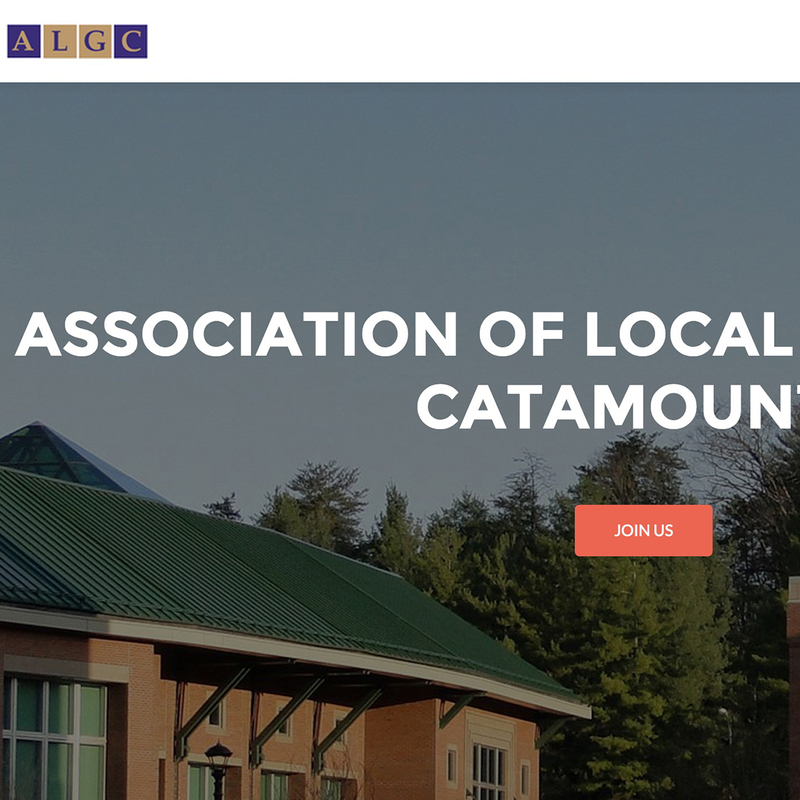 The Association of Local Government Catamounts (ALGC) was created to promote networking and educational opportunities among Western Carolina University Alumni who have chosen Local Government as a career, as well as, promoting local government service to the students of WCU. The Children’s Resource Center is a non-profit child care resource and referral agency that works to assist, educate, support, and educate parents, child care providers and our community about quality child care and issues relating to children and families. 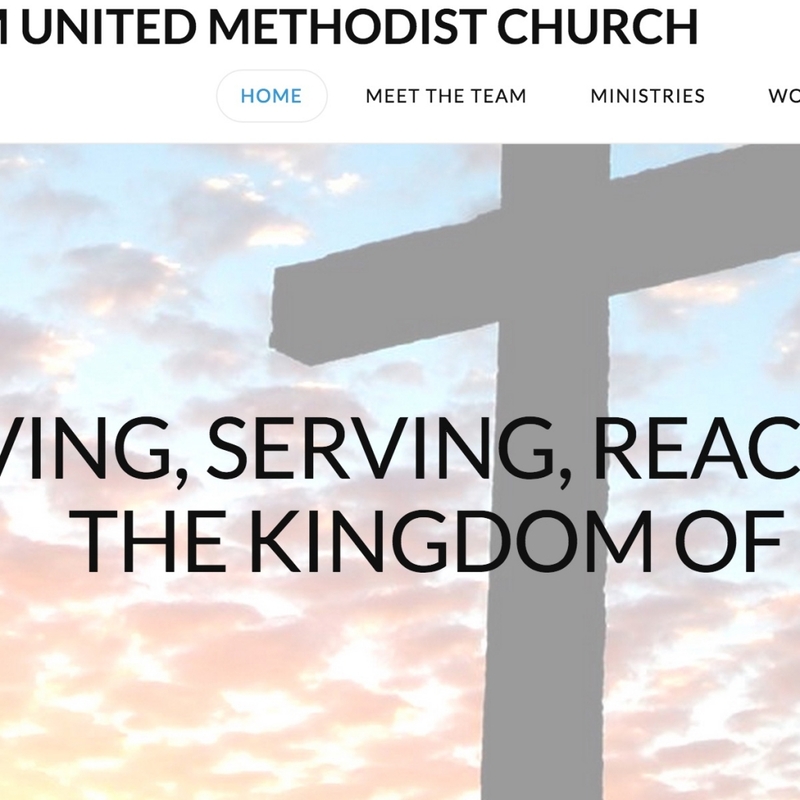 Their website is full of great information for their clients, and is easily viewable on any device. Catawba County, North Carolina is located in the foothills of North Carolina and includes 8 municipalities. 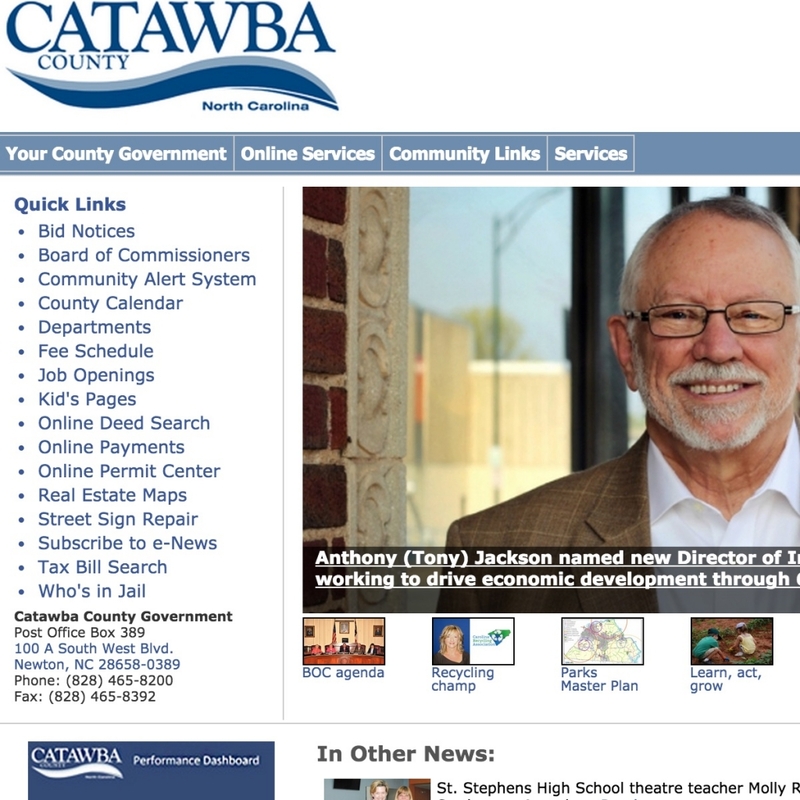 There are a multitude of different departments and services that have their information available to the visitors and citizens of Catawba County via this website. In 2013 this website was a part of winning the 2013 Digital Counties Survey. Lee Yount, Jr. is Application Development Supervisor in the Technology Department at Catawba County Government. Lee has worked in the Catawba County Technology Department for 7 years and works with several departments to help them improve their workflow with the use of technology. 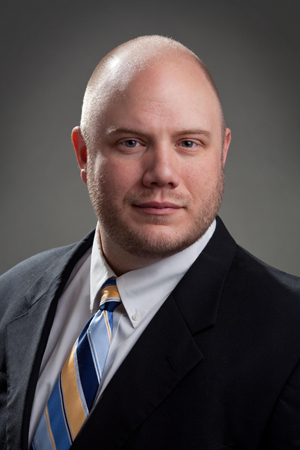 While Lee leads a team of 5 other technology professionals, he continues to program websites and applications, leverage social media to inform citizens about programs and information around Catawba County, and manage several projects at the same time so that internal and external customers are served with excellence. Lee is also involved in several local organizations that seek to improve Catawba County. A few of those organizations are Innovate Catawba, The Media & Technical GUILD of Hickory, and the Future Economy Council of Catawba County. Lee is also a 2010 graduate of Leadership Catawba, a program to inform and network with local leaders in the community. Lee is active in his church, Elevation Church where he leads and eGroup, serves as an outreach liaison for the Hickory Soup Kitchen, and Greater Hickory Cooperative Ministries, and leads a directional team to bring Elevation Church to Catawba County. Lee is a graduate from Western Carolina University with a Bachelors of Science in Business Administration with a major in Computer Information Systems as well as a graduate from the 2013 Government Certified Government Chief Information Officer (CGCIO) class at the UNC School of Government.